Not only is Duster one of the driving forces behind the Renault Group's international growth, but it has also emerged as the best-selling Renault model worldwide. Today, it is available in more than 100 countries, branded either as a Renault or a Dacia. success story," said Arnaud Deboeuf, Entry Programme Director, Renault Group. "With Renault branding, it perfectly meets the demands of our international customers and is contributing to Renault's expansion in emerging markets. At the same time, the Dacia-badged version sold in Europe and our Mediterranean Basin markets has succeeded in attracting a new clientele to the brand thanks to the styling and genuine all-terrain capability it delivers for an affordable price. Duster is definitely a model that is winning us new customers." 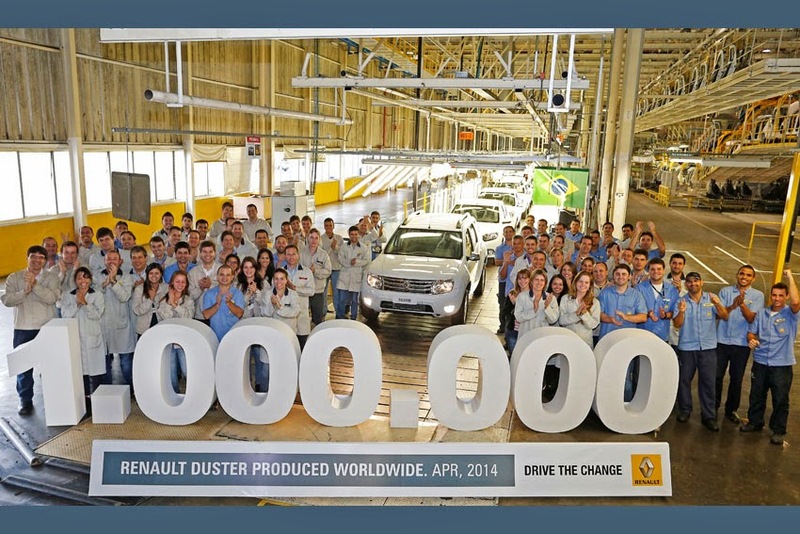 The millionth Duster was made at Renault's Curitiba plant in Brazil, but it is currently assembled in five factories - Pitesti (Romania), Curitiba (Brazil), Envigado (Colombia), Moscow (Russia) and Chennai (India).